The AU's ICC summit: A case of elite solidarity for self preservation? Although it is debatable whether it warranted an extraordinary session of the African Union (AU) Assembly, the relationship between Africa and the International Criminal Court (ICC) is an important one deserving robust debate. If this debate were to be framed appropriately and directed towards rectifying various problems in the ICC, thereby making it more just and effective, it would be of huge service to both Africa’s quest to end impunity and the international legal order in general. The extraordinary session that the AU Assembly (the highest decision-making body of the AU) held on 12 October 2013 was mainly dedicated to Africa’s relationship with the ICC. Unfortunately, the outcome of the summit showed that the substantive issues of public interest were not the factors that informed the decision to call the extraordinary session. Two other motivations prompted the convening of the summit by African governments. The first of these motivations is bailing out the Kenyan leaders currently on trial at the ICC in The Hague – the extraordinary summit was called upon the request of Kenya with the support of the Eastern Africa region. According to the Rules of Procedure of the Assembly, the support of two-thirds of AU member states is required for calling an extraordinary session. The summit was accordingly convened when the required majority had been reached. Kenya campaigned aggressively for this summit to use the AU platform to mobilise against the ICC and to secure wide support for the bid by President Uhuru Kenyatta and Vice President William Ruto to dodge the ICC process. Most immediately, they wish to be excused from having to attend all the sessions of their trials in The Hague. If they are not granted such relief, they will face a serious problem in discharging their responsibilities in leading the Kenyan government. Understandably, there is strong sympathy for the undesirable consequences that this may have for Kenya and its people. In seeking to secure the two leaders this relief, African states are also acting in the interest of the Kenyan nation. The main other motivation for African leaders in supporting the extraordinary summit is, of course, self-interest. There is no guarantee that the ICC will not pursue other African leaders as well. The supposition that self-interest is the motivation behind the support of African leaders for Kenya's bid has been borne out by the decisions they adopted at the summit. In one of these decisions, African leaders now wish to reverse the course of international law and relieve serving heads of state and government from prosecution for serious crimes. In the words of the summit’s resolution, ‘no charges shall be commenced or continued before an international court or tribunal against a serving president or senior member of a government in power’. Under the Rome Statute (Article 27), the issue of the immunity of heads of state for ‘grave’ international crimes has been put to rest. It is very difficult to see how this can be reversed within the existing rules of the ICC, short of a comprehensive revision of the Rome Statute. The other AU decision – on a UN Security Council (UNSC) deferral of the cases against the leaders of Kenya and Sudan – is equally baffling. First, UNSC deferral under Article 16 of the Rome Statute does not end the cases. It only leads to the suspension of an ongoing investigation or prosecution for an initial period of 12 months. Significantly, suspension of the trials may also result in loss of the evidence on which the ICC Prosecutor may rely on. Second, the UNSC can exercise its authority under Article 16 only after determining that continuing with the prosecution constitutes a threat to international peace and security within the framework of Chapter VII of the UN Charter. Looking at the cases against Kenyatta and Ruto, there is little evidence to suggest that their trial would lead to such a threat – unless UNSC members determine that the threat of terrorism facing Kenya (following the Westgate attacks) is reason enough to warrant the deferral. The concern over the trials’ interference in Kenya’s leaders’ ability to effectively discharge their responsibilities is best left to the Appeals Chamber of the ICC to address. The Appeals Chamber is currently considering the Prosecutor’s appeal to reverse the Trial Chamber’s decision relieving Kenyatta and Ruto of the obligation to attend all their trial sessions. Sadly, the heads of state and government who attended the summit defended their position to insulate themselves from ICC prosecution based on the political ideal of ‘African solutions to African problems’. Hiding behind this to serve their self-interest is both a misuse and a perversion of the ideal. Such instrumentalisation of this ideal erodes its moral force as well as its political and institutional significance for enabling the continent to take the lead in dealing with the challenges it faces. In their preoccupation with expediency and self-protection, Africa’s leaders have failed to use the summit appropriately to focus on and prioritise the formulation of workable recommendations for rectifying current drawbacks in the ICC system. They have also failed to put Africa's relations with the court on a more solid ground, whereby the ICC could be used to fill the impunity gap arising from the failure to address issues of justice for serious crimes nationally and afford victims an opportunity they would not otherwise have. Clearly, both the decision on the immunity of heads of state and government and the one on a UNSC deferral of the trials of current leaders sought by the ICC are directed at insulating leaders from ICC processes. This is a clear case of the AU being used as a forum of elite solidarity for self-preservation, along the lines of the description of its predecessor, the Organisation of African Unity (OAU), as a club for dictators. In reducing the issue of Africa’s relationship with the ICC to elite interests and political expediency, Africa’s leaders have betrayed the continent’s wider interests, namely the achievement of a fairly applied system of international criminal justice that allows societies in transition to debate and formulate processes of justice and reconciliation without compromising accountability. At a policy level, these decisions represent an instance in which the tension between human security and regime security upheld by the AU is resolved in favour of regime security. This constitutes an erosion of the AU’s much acclaimed normative changes, notably its right to intervene in member states under Article 4(h) of the Constitutive Act embodying the principle of non-indifference. Such an elite-centred formulation of the debate on Africa’s relationship with the ICC is unlikely to yield any constructive or positive outcomes. While the affirmation by AU Assembly chairperson Ethiopian Prime Minister Hailemariam Desalegn that ‘our goal is not and should not be a crusade against the ICC’ is assuring, particularly in the light of the much talked about threat of mass withdrawal of African members from the Rome Statute, the main decisions of the summit remain controversial. 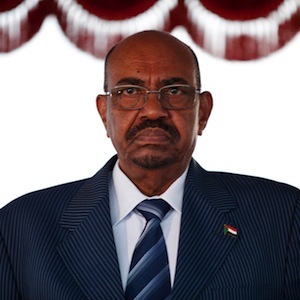 This, along with the plan to review progress on the implementation of their decision at another meeting that may be called next month, means that the relationship between African states and the ICC is sure to traverse a more turbulent path in the months to come unless the Appeals Chamber upholds the decision of the Trials Chamber creating an opportunity to ease the opposition being mobilised against ICC.